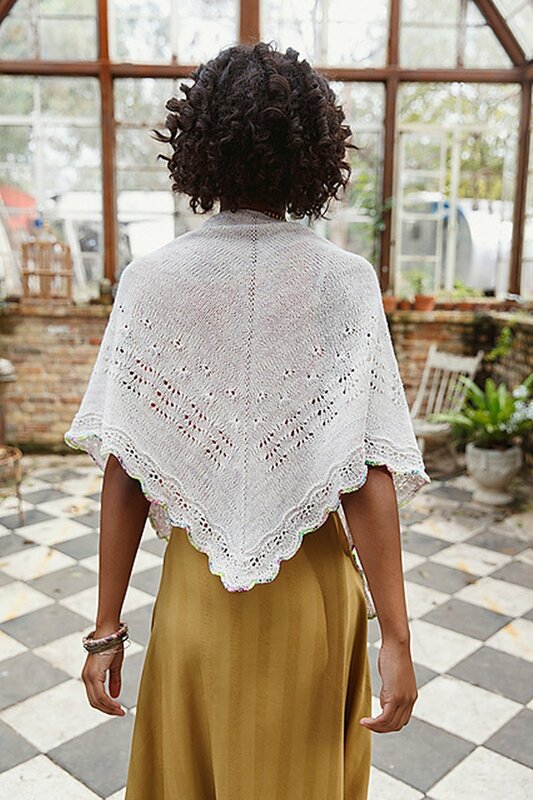 Taken from: Pom Pom Quarterly Spring 2017 "Arrosa" - Arrosa begins with a garter tab cast on and is then worked flat from the top down. The background is stocking stitch, with sections of flowerets, flowers and then ripples before finishing with a lace edging. The final row and cast off can be worked in a contrast colour to highlight the scalloped edge, if desired. 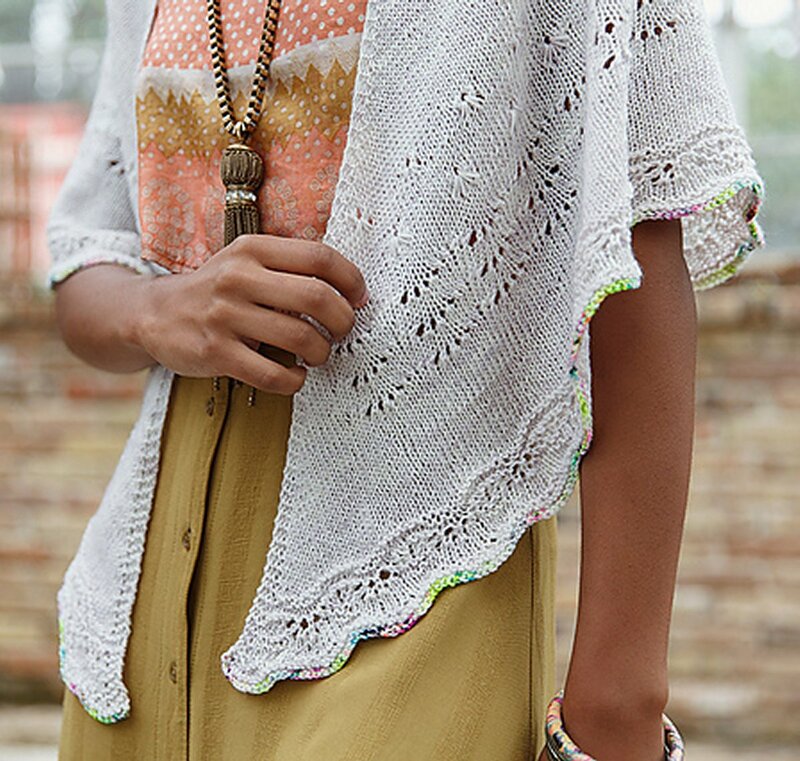 This pattern is from Pom Pom Quarterly Spring 2017 "Arrosa". Size US 4 circular needle, at least 40" long (or size needed to obtain gauge) is required but not included. Notions required but not included: smooth scrap yarn and crochet hook for provisional cast-on, 4 stitch markers. Gauge: 22 sts & 31 rows = 4" over stocking stitch on US 4 needles after blocking. Yarn shown is Hedgehog Fibres Sock. 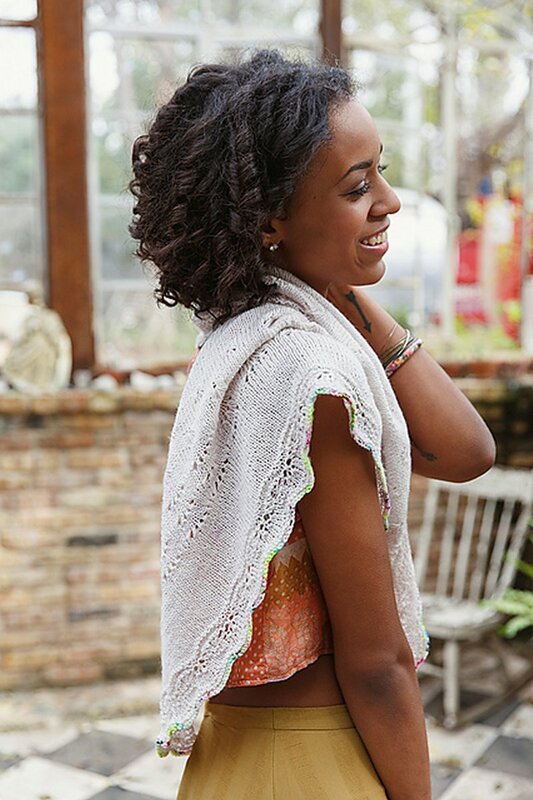 We do not currently carry this yarn, but Madelinetosh Twist Light in the color Farmhouse White is a great substitute!